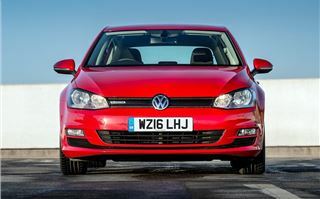 With all the uproar about diesel emissions, particulates and cheat devices, you might not really fancy a diesel engine in a Volkswagen Golf. But, if you still want good fuel economy and affordable tax, there is now an eco-focused BlueMotion variant with a petrol engine. It’s officially capable of 65.7mpg and emits 99g/km of CO2, so qualifies for free VED. The Volkswagen Golf Match BlueMotion Edition is powered by a 1.0-litre three-cylinder TSI petrol engine, producing 115PS. Now a 1.0-litre engine might not sound sufficient for a family hatchback, but since it’s turbocharged it produces a healthy 160Nm of torque from 2000rpm. That makes it surprisingly responsive from a standing start. It also feels more relaxed at higher speeds, especially when cruising along at 70mph on the motorway. That cruising ability is strengthened, in part, by tremendous all-round refinement. Normally three-cylinder engines aren't as smooth or as quiet as four-cylinder engines, with vibration and a sound that's more similar to a Citroen 2CV than a modern hatchback. 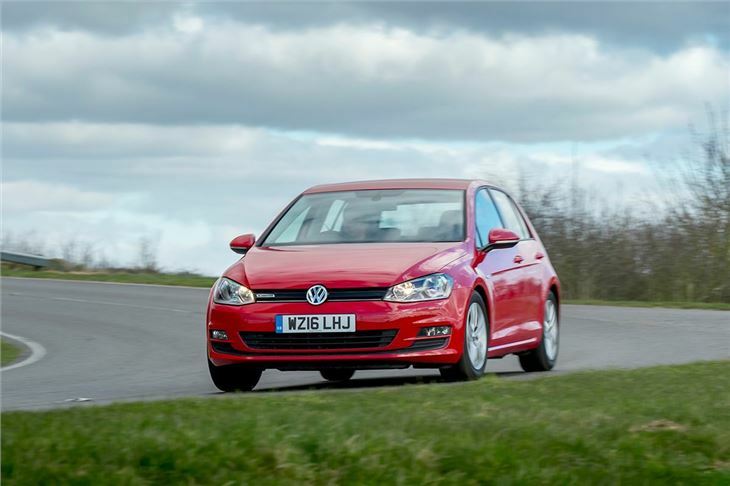 That’s not the case with the Golf BlueMotion petrol – in fact it is appreciably quieter and smoother than a Golf diesel, plus it’s very comfortable and relaxing to drive. The suspension prioritises ride quality over cornering prowess. 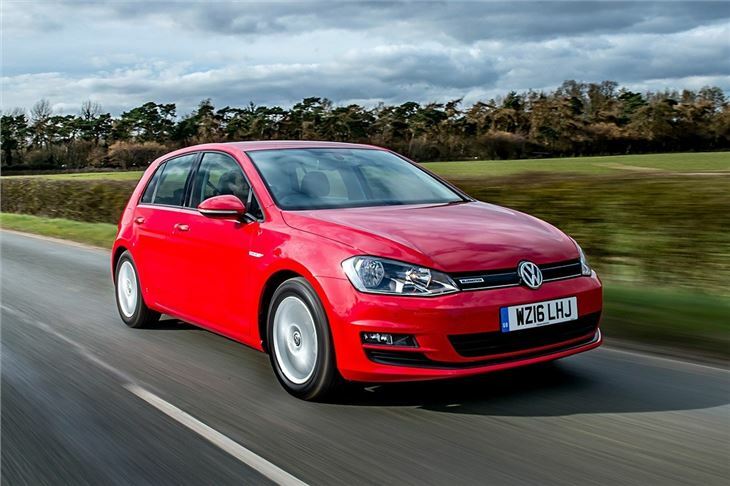 Speed bumps, potholes and ripples in the road are absorbed – but that’s not to say the Golf wobbles around the bends. 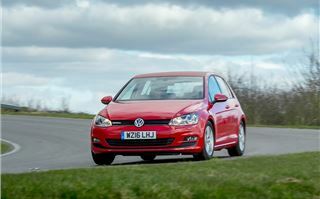 On the contrary, it has plenty of front-end grip and nicely weighted steering, as well as a very smooth manual gearbox. A DSG is available too, but we didn’t have the opportunity to test it due to our test car being a manual. 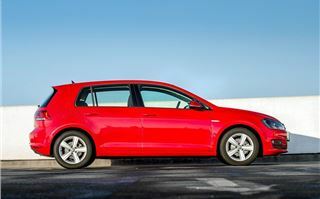 Aside from its efficient petrol engine, the Golf BlueMotion TSI is more or less the same as any other Golf. There are three-door and five-door body styles, while practicality is good due to the rear seats being spacious enough for two large adults. It's also easy to get child seats in and out, thanks to the wide-opening doors. The boot is large at 380 litres with a wide, flat load area and good access. On the downside, there is a small load lip, but it’s not big enough to make loading or unloading difficult. There’s also a double layer floor so small or flat items, like laptops, can be hidden away out of sight. Folding the seats frees up 1270 litres of space, but the seats don't fold completely flat. 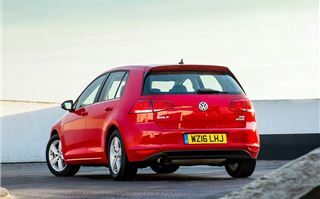 The Golf boasts an impressive high quality finish inside, with lots of soft-touch plastics and materials. It feels solid and durable enough to last through years of sticky-fingered children, trips to Ikea and whatever else an owner might throw at it, yet it’s also plush, comfortable and luxurious. Up front, the seats are comfortable, while the layout of the centre stack is neat and simple to use, plus there is a user-friendly and responsive touchscreen system. 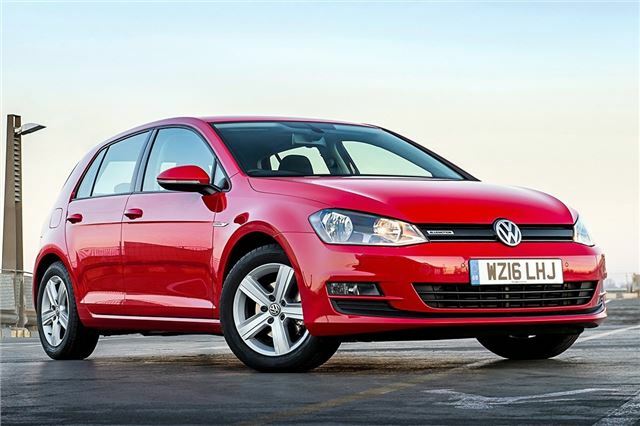 Buyers who want the BlueMotion TSI engine are restricted to one trim level – Match Edition – but it comes with plenty of equipment. 16-inch alloy wheels, heated front seats, auto lights, auto wipers, front and rear parking sensors and navigation are all fitted as standard to all Match Edition variants. There is also DAB radio, Bluetooth connectivity and air conditioning. 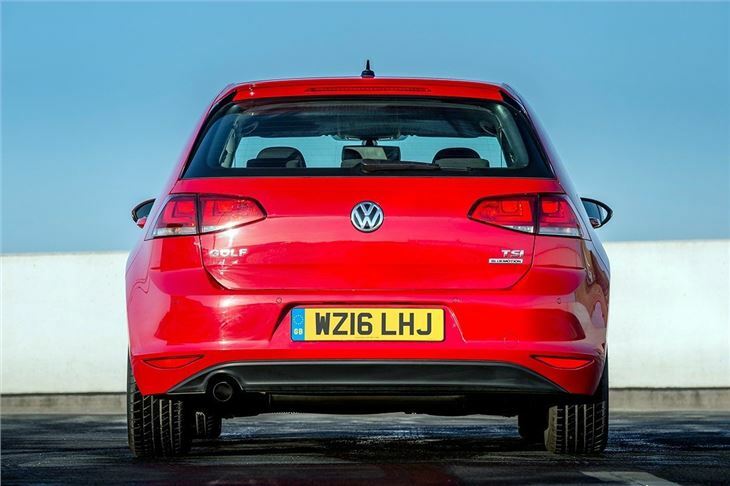 The Match BlueMotion Edition also has 10mm lower sports suspension, standard cruise control in place of adaptive cruise control in other Match variants and some aerodynamic styling details, plus there is a tyre repair kit instead of a space saver spare. Most of these features are designed to reduce drag and decrease weight in an effort to improve fuel economy. Our car was fitted with optional App-Connect, which adds Apple CarPlay, Mirrorlink and Android Auto to the infotainment system. This enables smartphone users to operate most of their apps directly from the in-car touchscreen, including Google Maps and music streaming services like Spotify. It’s very user-friendly and well worth the extra cost of around £100. 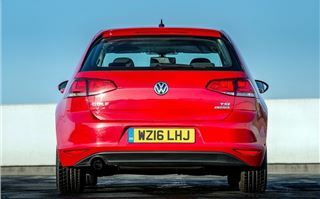 Competition comes from the Ford Focus Titanium EcoBoost and the Vauxhall Astra Elite Nav 1.0 – neither of which manages to quite dip its emissions below 100g/km. 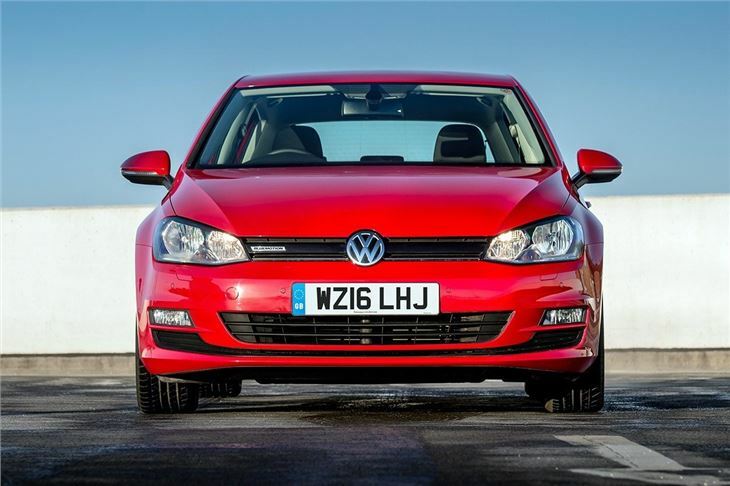 The Golf also feels just that little bit more polished and accomplished, with fantastic refinement and tremendously easy, effortless driving characteristics. 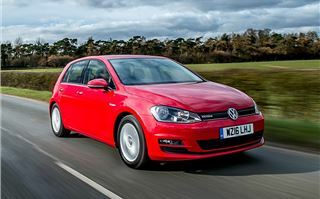 In real world driving the Golf Match BlueMotion Edition is likely to fall a little short of its official figures, but should deliver around 55mpg day-to-day. 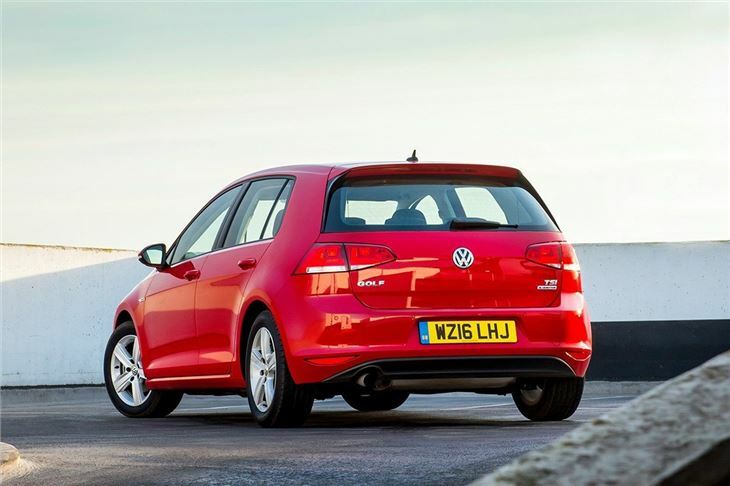 The BlueMotion diesel might do better, but it also costs £1500 more – so unless you cover a huge number of miles each year, we think the BlueMotion TSI is one of the most frugal Golfs available.